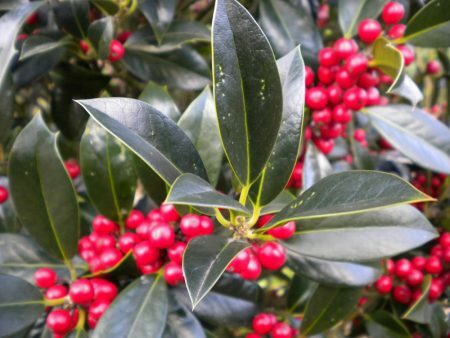 The English Holly is a classic medium-sized evergreen tree, producing leaves which are thick and waxy and have lobed, spiked margins. Slow-growing when young. Ilex aquifolium has small, dull white flowers in spring are followed by bright red berries, on pollinated female plants.